protoCAD services fit well with inventors developing products through utilization of our 24 years of experience with design and manufacturing. 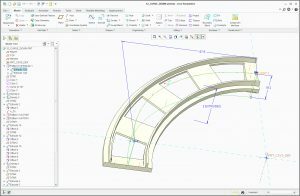 protoCAD assists inventors in all phases of product development. 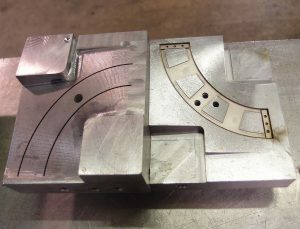 We can help you conceptualize and define your product or idea early in the design cycle and model your product using our state of the art Computer Aided Design (CAD) software. 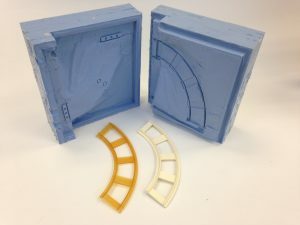 Once your product definition and CAD modeling are complete, we can help you prototype your initial design concepts and help with any limited production quantities or sales models needed using our in house rapid prototyping equipment. We have worked with everyone from individual inventors to Fortune 500 companies. We will assist you with outstanding personalized service to handle all or limited portions of your product development, prototyping, or pilot manufacturing needs. protoCAD was awarded a number of utility and design patents. 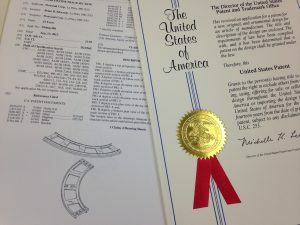 We produce drawings required for inventor patent applications. protoCAD creates prototypes utilizing 3D printing, urethane casting, machining and/or sheet metal forming. protoCAD provides the files inventors need to take your product to manufacturers anywhere in the world. Featured part designed for www.BrickCoaster.com. Please use our Contact Us form, or send your requirements to quote@protocad.com to receive an engineering quote for your invention.